Fall is my favorite season and nothing says Fall to me more than sweet apple cider, the smell of soft, cinnamon donuts, crunchy leaves under my feet and of course Mickey’s Not So Scary Halloween Party. You might be asking yourself “Why is she writing about Mickey’s Not So Scary Halloween Party when I just got done shoveling seven inches of snow out of my driveway?” Well during the past few weeks, the new 2015 Halloween party dates have been announced and I can’t wait to share my excitement with you! 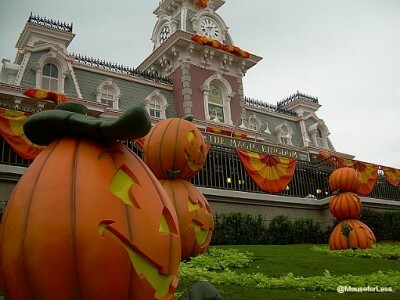 The 2015 dates for Mickey’s Not So Scary Halloween Party (MNSSHP) are as follows: September 15, 18, 20, 22, 25, 27, October 1, 2, 4, 6, 8, 9, 12, 13, 15, 16, 18, 20, 22, 23, 25, 27, 29, 31 and November 1. Tickets will go on sale during the month of April and prices have not been announced yet. On each of these dates, the parks will close at 7:00 p.m. for those who do not have a hard ticket for this event. Tickets can be purchased in advance and be mailed to your home or picked up at the “will call” window at the Magic Kingdom. It is highly recommended that you purchase tickets in advance, as this event sells out quickly the closer Halloween gets. Hard ticket holders may enter the park at 4:00 p.m., if desired, but the event will not “officially” begin until 7:00 p.m. The event ends at midnight, as that is when all “ghouls” and boys must say goodnight. Upon entering the Magic Kingdom, visitors will be given a wristband that allows access to one of the best Disney events of the year. While entering the Magic Kingdom on a regular day is magical, entering the park during MNSSHP is triple the fun and excitement. Everywhere you look screams Halloween. Specially carved pumpkins and scarecrows welcome you as you walk down main street. Visitors 9 months to 99 years are encouraged to dress in costume and add to the atmosphere. Not only is everyone encouraged to dress in costume, everyone is invited to “trick or treat”. There are many designated trick or treat stations throughout the park. Don’t be afraid of missing one, as there are many brightly dressed cast members holding signs to alert you to a “sweet spot”. One of the best candy spots, I found, was along the path that starts at The Great Goofini in Fantasyland and winds behind the Tomorrowland Speedway. If I remember correctly there were two or three stops there alone. Character meet and greets are abundant on this night. 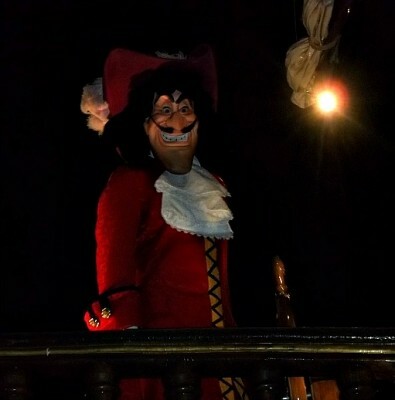 This event brings out characters that are not usually seen in the parks such as The 7 Dwarfs, Sully, Mike and Jack and Sally from”The Nightmare Before Christmas”. Of course, Halloween would not be complete without the Villains. Maleficent, Snow White’s Evil Queen and her alter ego the Old Hag, Jafar, Lady Tremaine, Lotso (who I’m not quite sure is a villain in the true sense of the word) and many others mingle among guests. Most characters are available for pictures and autographs, but be warned that these lines can be long and can run upwards of 45 minutes depending on the character’s popularity. Last year, Lotso was a walk up and the 7 Dwarfs were over an hour. My advice is do the research, find out what characters are expected at the event and come ready to meet your top three or four. Lines for characters begin at 5:00, so if the 7 Dwarfs are a must do for you get in line early. Plan to wait, get an autograph and move on to the next character on your list. In years past, there has also been a “special” photo spot outside The Haunted Mansion which should definitely be visited (no spoilers here). 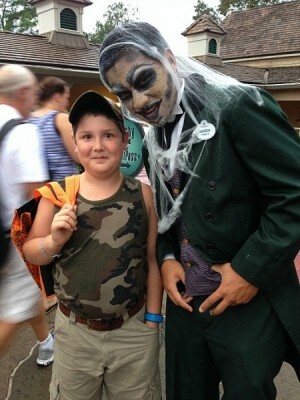 There was also the Villain’s Mix and Mingle, Monsterous Scream-O-Ween Ball, and Club Villain. Last year there was an exclusive dessert party with the Villains called “Villain’s Sinister Soiree”. This dessert party was an additional hard ticket event within the Mickey’s Not-So-Scary Halloween Party event. The cost per ticket was approximately $99.00 The down side, you are paying an additional fee to attend a party within the party. The up side would be that you get a variety of desserts and drinks in an air conditioned environment and you don’t have to stand in line anywhere near as long as in the park to meet your favorite villain. Boo to You & You & You & You! So you did some trick or treat, saw a few characters and ooo’d and aah’d over some awesome costumes, time to go? NO WAY! HalloWishes is about to start and then there’s the Boo to You parade. HalloWishes is a fireworks extravaganza that lights up the whole park. I have watched it from outside The Haunted Mansion and from behind Cinderella’s Castle and both spots were terrific without the crowds. 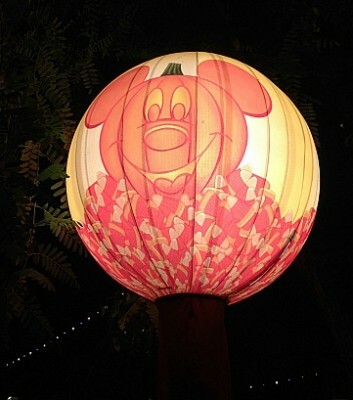 (But of course, if it is your first time viewing it, you’ll want to see it on Main Street U.S.A.) Halloween colors light up the night and ghosts fly free in the night sky. 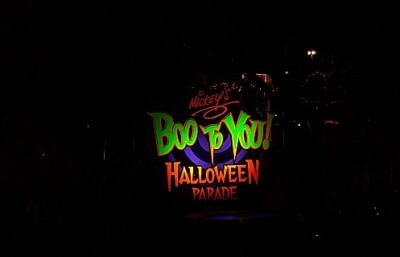 The Boo to You parade runs twice nightly and you have to go. No really, you have to go. I am not a parade kind of gal, but this is one parade I never miss. Get a good seat, I prefer to sit in Frontierland on the pavement. The reason for this is that by sitting on the pavement you get a once in a lifetime view of the Headless Horseman when he comes riding down the street to start the parade. He’s cool and creepy on a black steed that flies by you and let’s you know something awesome is about to begin. The parade consists of many Disney characters including the many haunts and ghost from the Haunted Mansion (this is their holiday, after all) as well as the Grave Diggers. Two years ago one of the Grave Diggers got inches away from my son, we saw the sparks off his shovel when it hit the ground (he still talks about that moment). So, are you excited yet? I am! Start thinking about your costume, anticipate who you might bump into and things that go bump in the night, practice your best “Trick or Treat” and get ready for a night of not so scary fun. See you there! 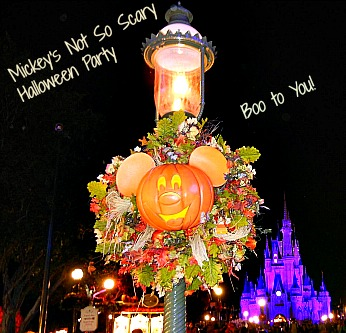 What is your favorite part about Mickey’s Not-S0-Scary Halloween Party?